The execution of scientific workflows in Grids can imply complex interactions among various Grid applications and resources spanning multiple organizations. Failures and performance problems can easily occur during the execution. However, online monitoring and detecting failures and performance problems of scientific workflows in Grids is a nontrivial task. So far little effort has been spent on supporting performance monitoring and visualization of scientific workflows for the Grid. In this paper we present an online workflow performance monitoring and visualization tool for Grid scientific workflows that is capable to monitor the performance and to detect failures of Grid workflows. We also support sophisticated visualization of monitoring and performance result. Performance monitoring is conducted online and Grid infrastructure monitoring is integrated with workflow monitoring, thus fostering the chance to detect performance problems and being able to correlate performance metrics from different sources. 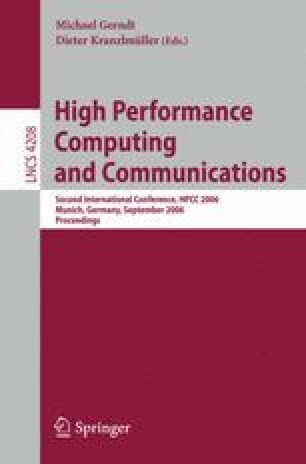 The work described in this paper is supported by the European Union through the IST-2002-511385 project K-WfGrid.